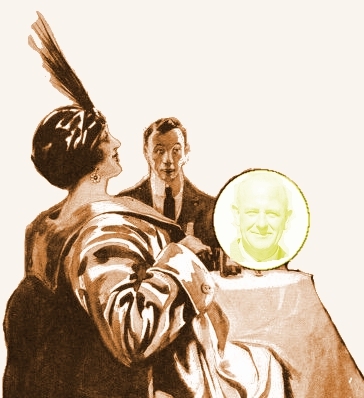 The P. G. Wodehouse Globe Reclamation Project is discovering long-neglected items by Wodehouse from the Globe newspaper itself; the Project Menu on this site presents these discoveries as they are identified and transcribed. In June 1908, Wodehouse and Herbert Westbrook produced The Globe By The Way Book—A Literary Quick-Lunch for People Who Have Got Only Five Minutes to Spare, a compendium of illustrated humorous topical features designed as an impulse buy for the railway book trade. We present one of those features in full: Women, Wine and Song! is a playful, madcap pastiche of Victorian melodrama and the cliff-hanging adventure serials of P. G. Wodehouse’s youth. In addition, John Dawson’s article “Deconstructing The Globe By The Way Book” provides further history of the book, excerpts, and annotations to many of its topical references. During Wodehouse’s work on the By the Way column, his contributions to the newspaper columns were unsigned, thus requiring the research efforts of the Globe Reclamation Project to uncover them. 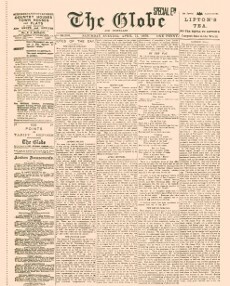 One signed article, “Abe,” from September 3, 1910, has just been found in newly available online scans of the paper; it gives his impressions of the New York literary agent to whom the manuscript of Love Among the Chickens was entrusted. Founded in 1803, the Globe was one London’s oldest evening papers. After a succession of owners over the years that eventually that saw the paper turn into a conservative organ, Sir George C. H. Armstrong took over in 1871 and edited the paper for some years. The jocular “By The Way” column started in 1881 and was conducted principally by E. Kay Robinson (?–1928) and then Charles Larcom Graves (1856–1944). After Armstrong’s death in 1907, the paper was sold to Hildebrand Harmsworth of the Harmsworth press dynasty. William Thomas Madge (1845–1927) became manager of the Globe in 1866 and served in that position through most of Wodehouse’s tenure. It was during his tenure that the pink newsprint since associated with the paper was started (1868). Completing the dramatis personæ at the Globe were Edward Harold Begbie (1871–1929) and William Beach Thomas (1868–1957). Begbie was an author/journalist who published nearly 50 books on a wide variety of topics including political satire, science fiction, plays, poetry, and children’s literature. He had joined the paper as Kay Robinson’s assistant editor on By The Way and assumed the editorship of the column when Robinson left. William Beach Thomas (1868–1957) was an educator and writer who had taught at Dulwich in 1897–98 and had been Wodehouse’s form master in the Upper Fourth in 1897. Having forsaken teaching for a career in writing, he began submitting contributions to Begbie, who hired him to become his assistant on the By The Way.